Combine arrowroot powder, garlic powder, cayenne, paprika, rosemary, thyme, savory and salt and pepper, in a small bowl. Rub seasoning mixture over all sides of the roast. Heat approximately 1 Tbsp of fat or oil in a pan. 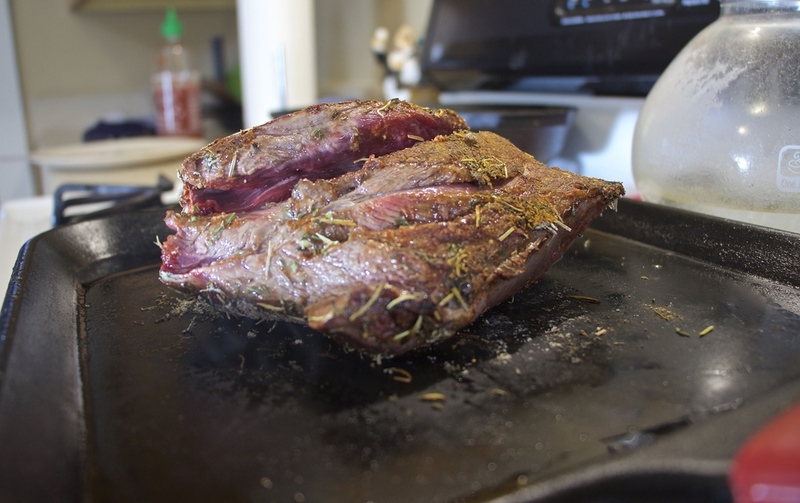 When oil is hot, sear the roast 1-2 minutes per side. Place seared roast in slow cooker and pile garlic, jalapeno, celery, carrots, onion, potatoes and butter around the roast. Cook on high 5 hours (low 8 hours) or until meat falls apart. Note: When roast is finished cooking, simmer 2 cups of the juices from the slow cooker in a pot on the stove until reduced by half for a sauce to serve over the meat and vegetables.